Primrose style from Silky line collection by Masumi Champions is the perfect choice for fashionable wear. The innovative Primrose design features a distinctive, gorgeous flower complete with stitched edging. 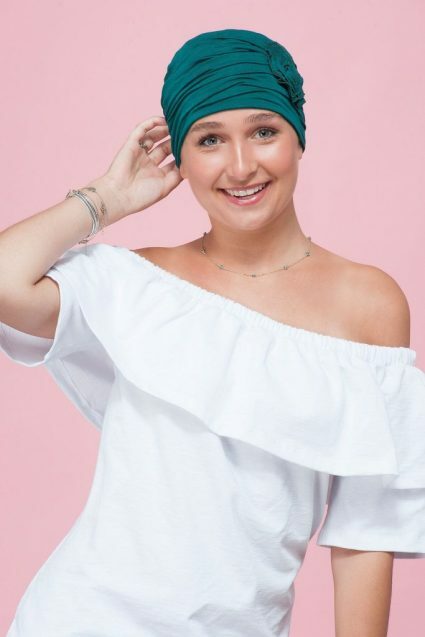 This beautiful headwear is made from softest most elegant fabrics, with special qualities, giving you that silky soft feel, at the same time keeping you warm and comfy. The Primrose style comes in an array of colours, perfect for coordinating with a range of outfits. Dynamic colours like ‘Coral, and ‘Blue Ocean’. speak of picnics in the park and days out with friends, whereas gentle chic colours like ‘Taupe’, ‘Camel’ and ‘Navy’ are perfectly suited to elegant social functions.